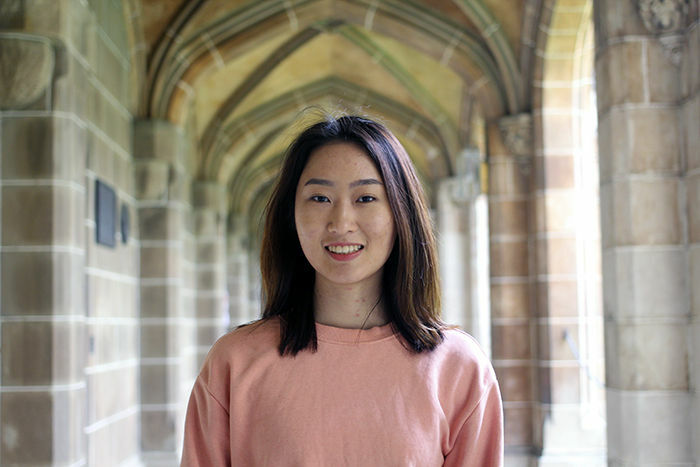 Seunghee Lee is one of the first recipients of the Bachelor of Arts International Scholarship, which awards high-achieving commencing students who have completed / graduated from secondary school from 7 countries fee remission throughout their degree. Seunghee (Angela) Lee is one of the first recipients of the Bachelor of Arts International Scholarship, which awards high achieving commencing students from India, Sri Lanka, Japan, South Korea, Myanmar, Vietnam and Thailand up to 50% fee remission throughout their entire degree. The Bachelor of Arts International Scholarship is available to applicants from eligible countries for the Bachelor of Arts and does not require a separate application. You will be automatically considered for this award for Semester 1 entry if you applied by 30 October; or for Semester 2 entry if you apply by 31 March. 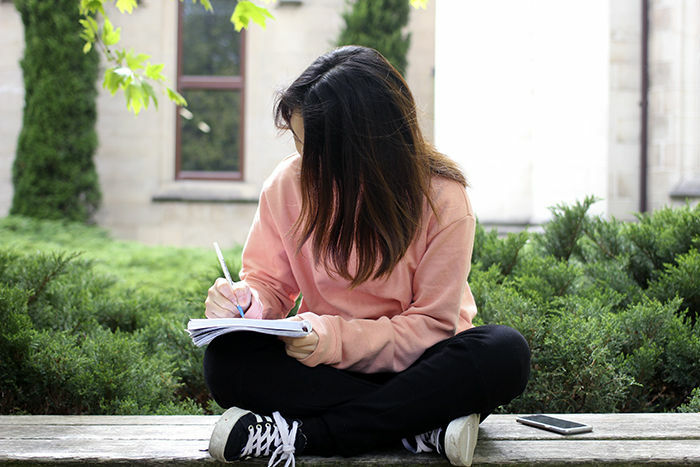 We caught up with Angela to see how she is adjusting to life in Melbourne studying the Bachelor of Arts, with a double major in Psychology and Media Communications. What attracted you to Melbourne and The University of Melbourne? I was instantly drawn to Melbourne by the vibrant visual arts scene on campus and in the city. In coming to Melbourne, I can pursue my hobbies such as attending music gigs, art galleries, theatre and other festivals. I love that the campus has a balance between nature and the city. I love all of them as I have chosen subjects I am really interested in learning: Law in Society; International Politics; Mind Brain & Behaviour; and Media Identity & Everyday Life. I have always been curious about how society works in the wider world. In Year 7, I read a book about psychology and I felt satisfied being able to know what motivates people's behaviour. Trump's election last year triggered me to learn politics. I was confused about what was going on, but I didn't know the concepts and the history behind modern conflicts. I have really enjoyed all of my classes and learning more. It has given me a chance to be independent with my money. I haven't had to rely on my parents because of the bursary, and have learned how to control how much money I spend through budgeting on a weekly and monthly basis. The Spot building is my favourite, because it has a café feel but it isn't too loud. I find the study spaces really comfortable. I'm interested in motivating and providing routes to finding individual happiness. I'm planning to be an industrial-organisational psychologist and I believe that my degree will help me pursue and achieve my goals. How has Melbourne helped your career aspirations? I joined the Australian Psychological Society as a student member, and am now a subscriber of the college of Organisational Psychologists. It is providing me with opportunities to attend their seminars relating to my career. What is your favourite class/current project? I had an assignment writing about the causes of wars in both Marxist and Realist perspectives. It was my favourite because I am generally interested in how the world works. Finally, you're currently the Vice-President of Fotoholics - Photography Club on campus. Could you tell us more about your involvement in clubs and societies? I had a genuine interest in photography before coming to Melbourne. When I enrolled at the University, I found Fotoholics on the UMSU website and visited them at the clubs expo. Being part of the executive committee has taught me how to maintain a stable interest group and helped me with my leadership skills. If you would like to receive the Bachelor of Arts International Scholarship, you must be from one of the eligible countries and apply for the Bachelor of Arts program. The Bachelor of Arts International Scholarship does not require a separate application. You will be automatically considered for this award for Semester 1 entry if you applied by 30 October; or for Semester 2 entry if you apply by 31 March.